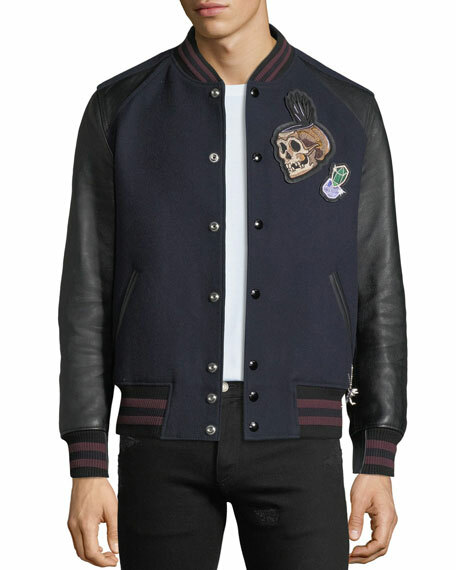 Coach varsity jacket from the Disney x Coach Dark Fairy Tale collection. 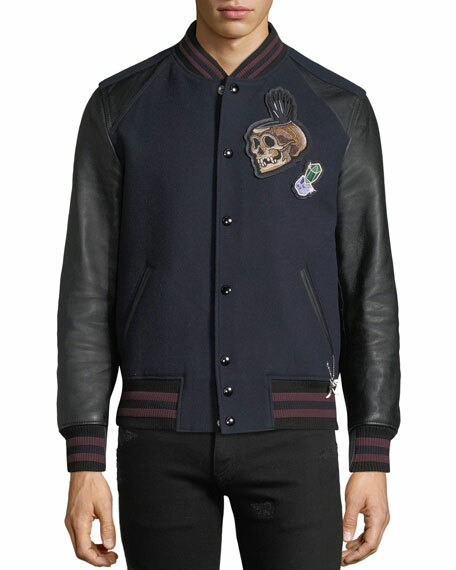 Skull and stone patches at left chest. 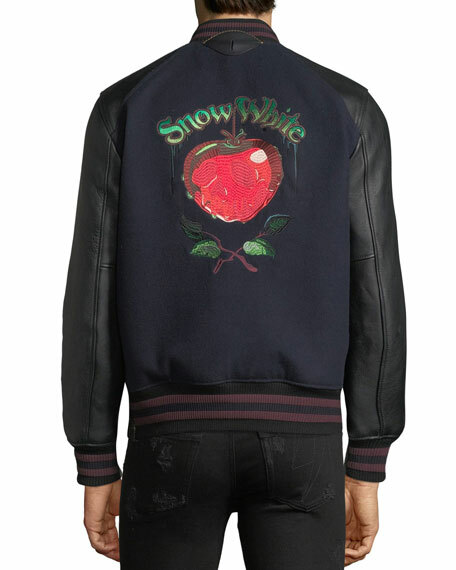 Snow White poisoned apple patches on back. For in-store inquiries, use sku #2642278.